The all new 4895 Custom Reserve flugelhorn is an evolutionary approach to flugelhorn design. Over a year of development resulted in a stunning instrument that performs better than anything else on the market today. The newly designed, 6½" two piece copper bell features a sheet stem, special acoustic treatments and semi-square bend. The result is a uniquely rich, true flugelhorn sound. An all new .420" bore valve cluster features bronze casings and knuckles that create an intimate sound with lightening fast response. The casings are mounted using nickel silver braces permitting ultra efficient energy transference between the valves. The slides of the 4895 are an historic first. Canted first and third slides allow for a more uniform feel through all valve combinations. The 4895's new third slide trigger features a grenadilla wood paddle mated with an all metal linkage system. These innovations create a comfortable trigger with a remarkably smooth throw. The new telescopic bracing removes all tension between mounted parts. At the same time, smaller brace footprints improve resonance by reducing the size of known â€œdead zones". Every 4895 comes with one yellow brass, one gold brass, and one nickel silver mouthpipe. This allows you to tailor the instrument to meet your specific style and situational needs. Not only do the top caps, bottom caps and finger buttons look great, but their weight and material are also an integral part of the playing characteristics and sound profile of the instrument. Performance wasnâ€™t the only thing considered for the design of the 4895. Player comfort was also key. The bell and first branch are swept further under the valve section to evenly balance the weight of the flugelhorn. The third slide trigger was engineered to fit any sized hand comfortably. Even the valve balusters were designed with a smoother profile to feel more comfortable in the hand. A Getzen exclusive. 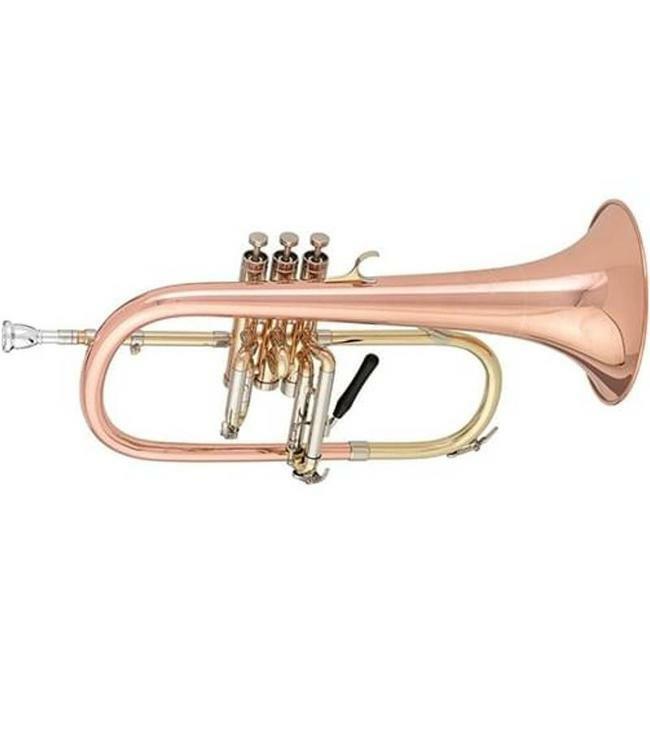 The Griego CS FL was designed specifically for the new flugelhorn. Included with every horn, the premium mouthpiece was designed to compliment the 4895 in every way. A new, exclusive fiberglass flugelhorn/trumpet combo case is standard with every 4895. Excellent protection in a light weight package that features removable backpack straps and meets most domestic airline carry-on requirements.